Diana Tudose wanted to make a difference. Her passion for animals and animal related issues led Diana to found Etobicoke Collegiate Institute’s Raise a Paw Club. Looking to build awareness around various animal issues and to raise money for organizations devoted to helping animals, Diana and her 30 member team raised $440 through a raffle held on behalf of EHS during the school’s 2011 Christmas concert. A special thank you to the Raise a Paw Club for their dedication to animals and supporting the Etobicoke Humane Society! 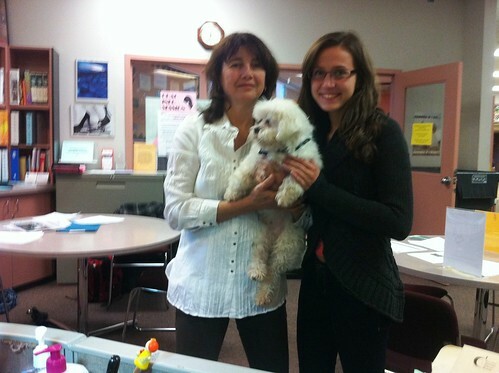 Raise a Paw Club founder Diana Tudose (right) with the Etobicoke Humane Society’s Laurie Burnett (left) and dog Pippin. 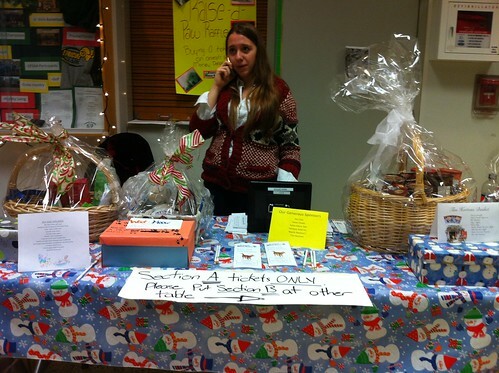 Etobicoke Collegiate Institute’s Marija Dikova staffing the Raise a Paw Club raffle table at the 2011 Christmas Concert.